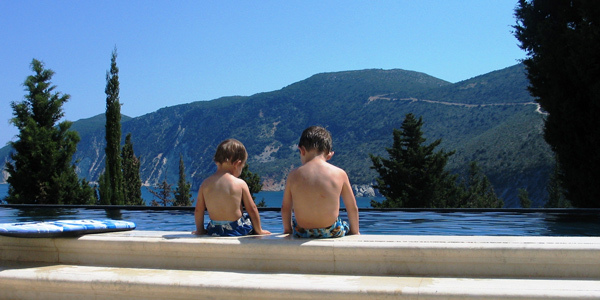 In the second of our series looking at great family-friendly places to stay in different European territories, our Kids Collection Editor Nadine has chosen 10 of the best in Greece. These 4 cosy cottages are set amongst fragrant terraces in a gated retreat and share a superb infinity pool with stunning sea views. Rates include car hire (in high season), transfers, local produce, bikes and a daily maid service. 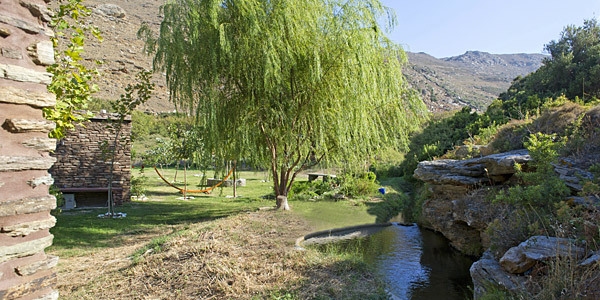 Kids will love having the space to run wild and exploring the organic farm. 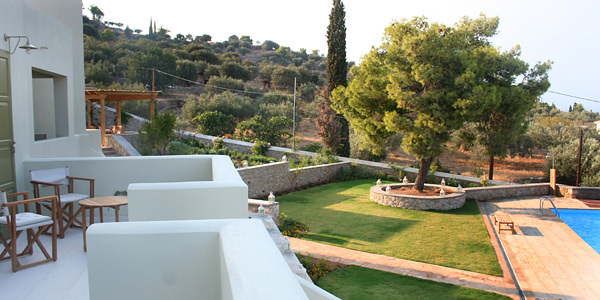 Get back to nature at these 9 simple stone cottages (each sleeping 2-7), hidden away on an unspoilt island just 3 hours from Athens. Although there’s no pool, it’s a memorable stroll along the river to the beach, and there’s a natural pool fed by a waterfall nearby. This stylish and light boutique hotel is set on a sandy bay with warm, shallow waters – perfect for paddling. 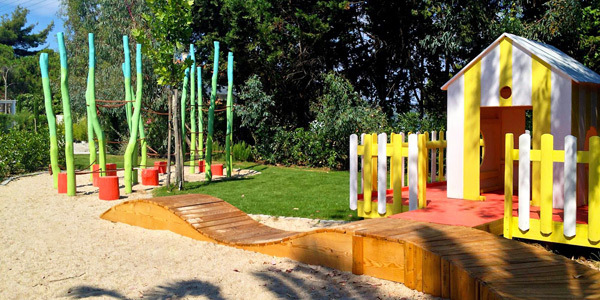 Families will also appreciate the kids’ pool, the playroom with a climbing frame and Wendy House, and the games room. There are boat cruises nearby. Two of these 3 stylish villas sleep up to 6 + a baby and are set up perfectly for families, with their own safe walled gardens, private pools with sun terraces and BBQs, and well-equipped kitchens off the open-plan living areas. Bliss. Families staying at this playful beach retreat (new to i-escape) will delight in its saltwater pool, organic juice bar, playground, table tennis, and toys and games. The sea is safe for little ones, and there are bikes to borrow. 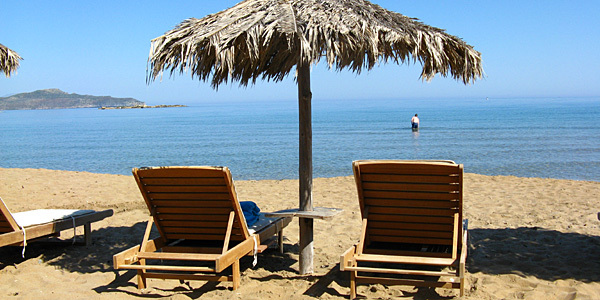 It’s set on the Chalkidiki peninsula, near Thessaloniki on the Greek mainland – an area renowned for its golden sands and lovely pine forests. This pair of restored merchant’s houses is tucked away in a pretty village. 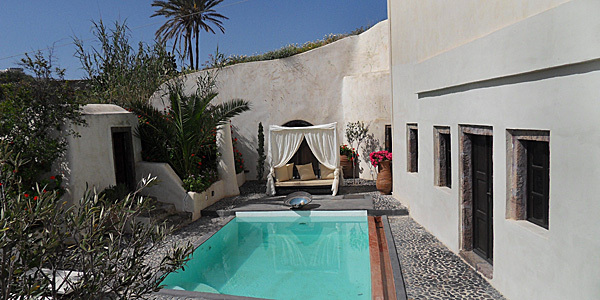 Sleeping up to 4 and 6, each has a plunge pool and a cobbled courtyard. You’ll find an easy and relaxed vibe, and there are tavernas nearby if you prefer not to cook. A hire car is included in the rates for easy island exploration. 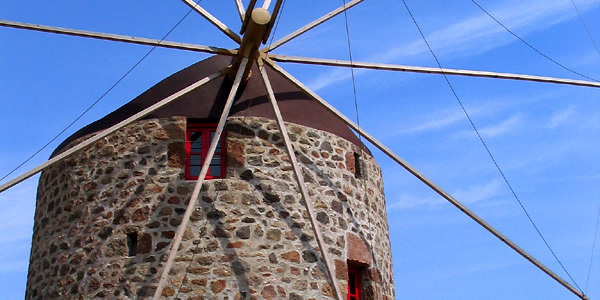 Children will love staying in this lovely converted windmill (which sleeps up to 8), and exploring the secret coves, smugglers’ caves and excellent sandy beaches along this gorgeous stretch of coastline. Parents will love the views, the peace and quiet, and being off the tourist track. 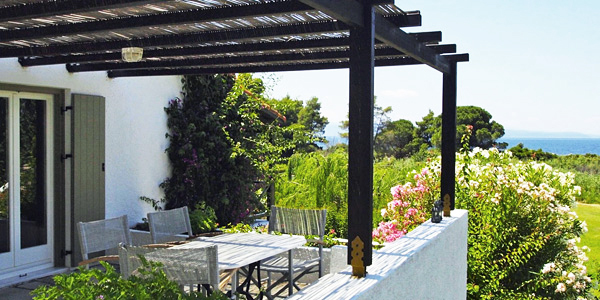 You get traditional island architecture and boutique design at these 3 adjoining villas for 2-8, all fully equipped and spacious, with panoramic views over the Saronic Gulf. But your children will be more impressed with the pool and extensive lawns, plus the horse-riding, watersports, beaches and boat trips nearby. This laid-back retreat has 13 stylishly simple suites of varying sizes, each with a kitchenette. They’re set in a walled garden with a sparkling pool and a café that’s open all day. You and your children will make friends easily, and the nearest beach is only a kilometre away. 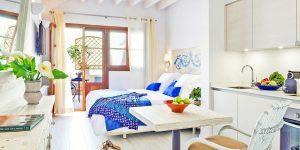 New to i-escape is this good-value family-run mini-complex of self-catering studios, apartments and villas sleeping 2-6, all with private balconies or terraces. 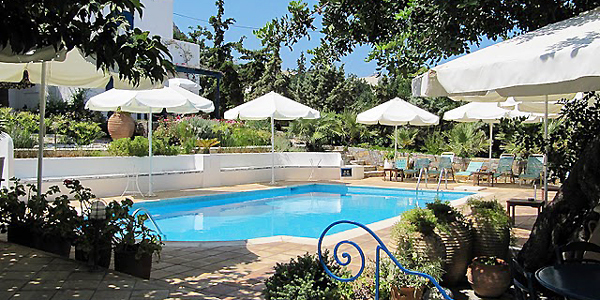 It’s set in large flowering gardens on the upmarket Kalamaki Peninsula, with tavernas nearby. And you’re right by the beach!